Her [Donna Karan] sleep, however, is rarely unbroken. 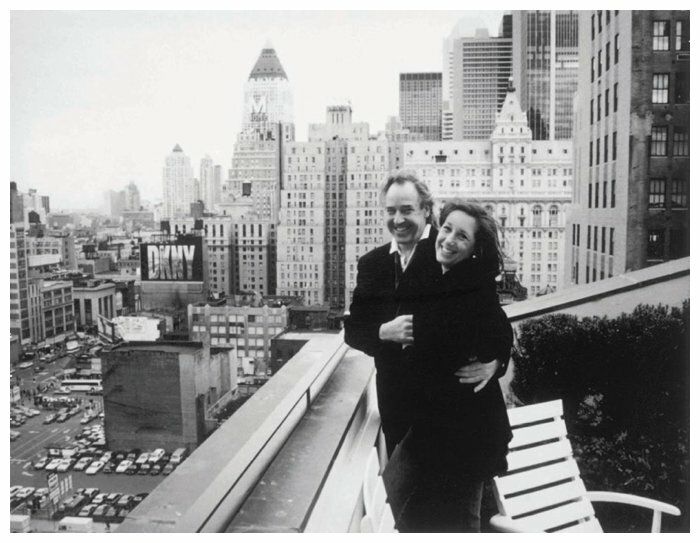 Karan's husband of 17 years, sculptor Stephan Weiss, who designed the spa house with her, died of lung cancer last year. "I've only had one true love," she says, her eyes still seeing his. "He was it. He will always be it. Luckily for me, his spirit is ingrained in this house, especially in the geometry of the design. The glass panels, the stark right angles, the flat-screen TV discreetly hidden in the wall. That's not me; that's Stephan. He loved order and precision." Weiss did not live to see the house finished, but if he had, Karan would have had to concede to being wrong about one major design element. "I hate handrails -- they go against my aesthetic," she says. "I'd rather see stairs float." It took a skiing accident earlier this year -- which shattered her knee, requiring six months of therapy, a wheelchair and crutches -- to adjust her thinking. "I have such regard for handrails now. You have no idea," she says. "And every time I reach for them I think of Stephan's stubbornness and thank him."